Sri Madana Mohana is the guardian of Bishnupur .He is the protector, the worshipable deity unto whom the people of Bishnupur surrender, reveal their heart and for whom they reserve their most intimate feelings and reciprocations. Even today, whenever there is any dispute, the people of Bishnupur, refer the matter to Sri Madanamohana jiu and have firm faith that the Lord He would step in and justice would be served. 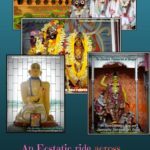 It is said that there was once a chaste queen whose husband had been slain in the battle.She was pregnant for about nine months.At that time,her friends and relatives were going to a pilgrimage to Sri Jagannatha Puri and she desired to accompany them. So leaving behind all hesitations, she set off along with them.On her way, in the middle of a jungle,she gave birth to a beautiful baby boy. Seeing no other option, as things was getting delayed, the queen left behind her newborn in the jungle and continued with her journey.At that time Sri MadanaMohana protected this lonely child, and arranged for honey drops to trickle into his mouth, from the adjoining trees. The next morning,a Bagdi (tribal) girl ,while she was collecting the woods, saw this little baby lying hidden within the bushes. She felt compassionate, and immediately raised the boy in her arms, and took him to the house of a brahmana. 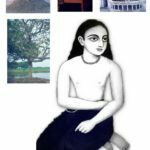 She disclosed to the brahmana how she had found the baby in the woods and requested him to take care of this boy.In course of time, this little boy grew up and started living happily with the brahmanas. Once this boy went inside the jungle to tend his cows but did not return. The Brahmana father ,growing anxious, then entered the jungle searching for the boy. But to his surprise ,he saw the boy sleeping peacefully under a tree being protected by two snakes who were raising their hoods to block the sunlight from falling upon his face. The snakes fled upon seeing the brahmana approach. The brahmana then realized that this boy was not an ordinary personality. When the monsoons approached, the boy once went to a nearby river for fishing.But his fishing net, instead of capturing fishes, captured golden bricks from the water. On a second attempt, auspicious tulasi and chandana were recovered from his fishing net.When he laid his net for a third time, the boy recovered conch shell,bell, candles, and other paraphernalia to worship the deity. On the fourth occasion, the fishing net captured the all-enchanting Sri Madana Mohana Dev from the river waters. Sri Madana Mohana instructed the boy to install Him in the brahmana’s house and daily worship Him with Tulasi and Chandana. The boy then prayed to Sri Madana Mohana jiu to bestow upon him, His causeless mercy and seeked shelter at His lotus feet. The boy went onto become the first king of the Malla dynasty,and became renowned as Adi Malla. The descendants of his foster parents,the brahmins, continue to engage in the worship of Sri Madana Mohana till this day both in Bishnupur as well as in Bagbazar. These brahmins initially had the surname ‘Ghosal’ and the king subsequently honored them with the title ‘Pujari’. 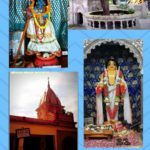 How Sri Madana Mohana jiu arrived at Bagbazar(in kolkata) and how He was subsequently rescued back to Bishnupur is an amazing pastime that we shall try to narrate later in this article. 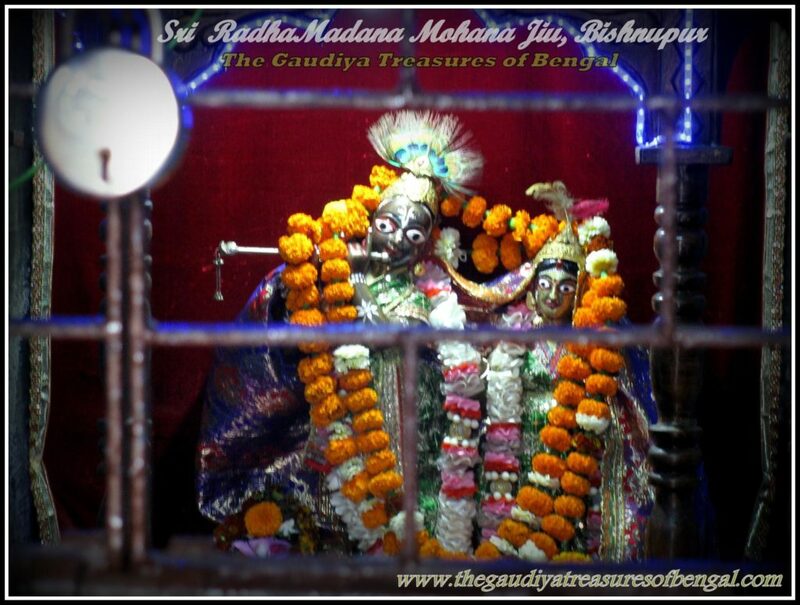 In due course of time Sri Madanamohana mercifully allowed Himself to be worshipped by the Malla Kings.The present temple of Sri Radha Madana Mohana in Bishnupur, was built by king Durjan Singh. The 55th Malla king,Sri Gopal Singh was extremely pious and devoted to the lord. 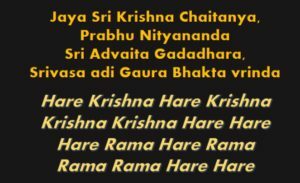 Day and night he immersed himself in singing and chanting the glories of his ishta deva,Sri Madana Mohana. 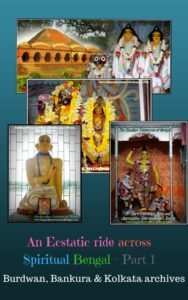 The cult of Vaishnavism that was introduced in Bishnupur ,during the era of King Bir Hambir (refer – ‘The Glories of Bishnupur (the temple town of Bengal) – Part 1 :Srinivasa Acharya and Bir Hambir’) ,was carried forward by Sri Gopal Singh. Sometimes, he even participated in the Harinaam sankirtana processions that went around the city. The sound of the Mridanga and kartalas enraptured the sky. It was during this ideal rule of King Gopal Singh, that it was made compulsory for all the citizens of Bishnupur to chant the ‘Hare Krishna Mahamantra’ every evening and complete their stipulated rounds before going to bed. Thus all the citizens participated in the Harinaam sankirtana movement of Sri Caitanya Mahaprabhu during the era of Sri Gopal Singh. Such is the rare glory of Bishnupur (refer – ‘YogPeeth, Mayapur, Navadvipa – The birthplace of Sri Caitanya Mahaprabhu’). Drawn to its wealth and prosperity, fifty-two thousand Maratha soldiers once attacked the town of Bishnupur. These Marathas were referred to as ‘Bargi’ in common dialect and were known to be exceedingly ferocious who did not spare even women and children to achieve their ends. They looted wealth, killed people, and before departing,burnt down entire villages. So when these Marathas, surrounded Bishnupur, the citizens naturally got very nervous. But King Gopal sing, instead of preparing to retaliate, decided to take complete shelter of his beloved Madana Mohana. He led a tumultuous Harinaam sankirtana party that traversed the entire city and filled its land and sky with the auspicious vibrations of the holy name. He asked his soldiers to seek shelter of the Lord and pray for protection.Not all were convinced with his actions though. Towards the end of the night, frightening sounds of cannons were heard. These cannons destroyed the entire army of these marathas and the dreaded Bargi leader almost died in the fight. Suffering a heavy defeat, the ‘Bargis’ retreated. These cannons,locally referred to as ‘Dalmadal’,were built several years ago ,by King Bir Hambir, and that night they indeed served their purpose. But no one had a clue as to who was firing from these cannons. The next morning, while victory was being celebrated, the king enquired of the brave fighter.The soldiers denied to have fired the cannon and confessed that it was humanly impossible to fire so many shots from these few cannons ,in such a quick succession. One of the soldiers, then recounted a hair raising incident. He recollected that while he was guarding the forts the previous night, he saw a young boy , wearing a blue apparel, come out of the city,riding on his white horse.The whole atmosphere was surcharged with pleasant fragrance and the effulgence of His body illuminated the surroundings. The guard said that he had fainted on seeing His enchanting beauty. He regained his senses upon hearing the loud shots of the cannon and observed dead and fleeing maratha warriors, all around.But in spite of searching, he could not find the young boy again. While the King was thus conversing with his soldiers, a milkman came rushing. He informed of a young boy, wearing blue garments, who had stopped the milkman on his way and had eaten all the curd that he was bringing for the king. The boy had a bright smile on His face and identified Himself as the King’s son. 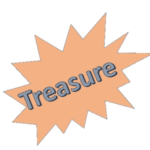 As a proof, the boy had also handed over His bracelet to the milkman, which He had asked to be shown to His father, so that the King could pay him the required money. The milkman added, that the boy had claimed to be very tired fighting the Marathas all night and needed something cool to eat. The boy had marks of explosives all over His beautiful body. 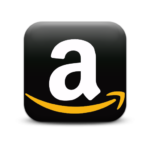 Sri Gopal Singh began shedding tears of joy. He understood who that small boy was. He was none other than his beloved Madana Mohana who had mercifully responded to the prayers of His devotees and had protected them from grave danger. On opening the temple gates, Sri Madanamohana was found standing, with His blue garments completely drenched in perspiration. The marks of explosives as if decorated His enchanting form and His bracelet was missing from His right hand. 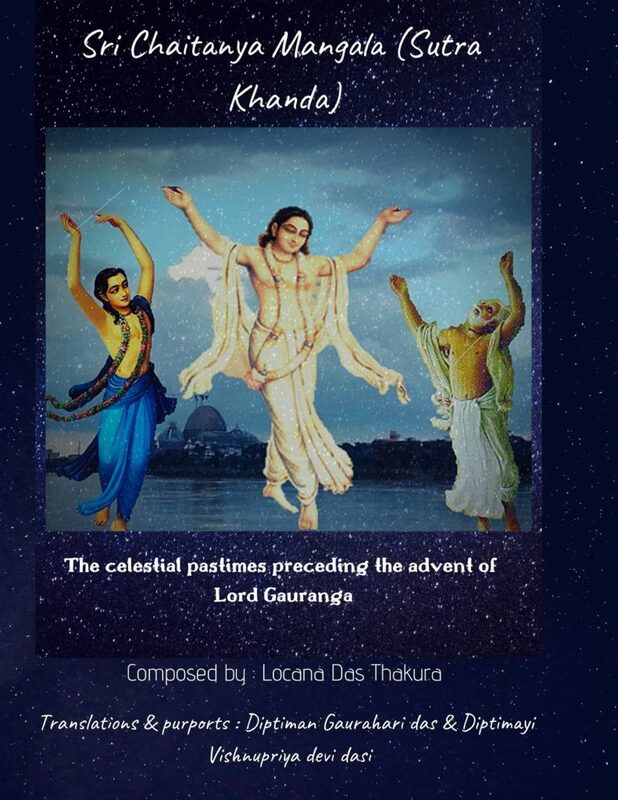 Being entranced, the King fainted in ecstasy.’The Gaudiya Treasures of Bengal’ humbly begs at the feet of Sri Gopal singh to bestow upon us a tiny drop from the ocean of unflinching faith he possesses for the Supreme Lord. One visiting Bishnupur, can take darsana of this sacred Dalmadal cannon, which has been carefully preserved and installed on a raised platform. 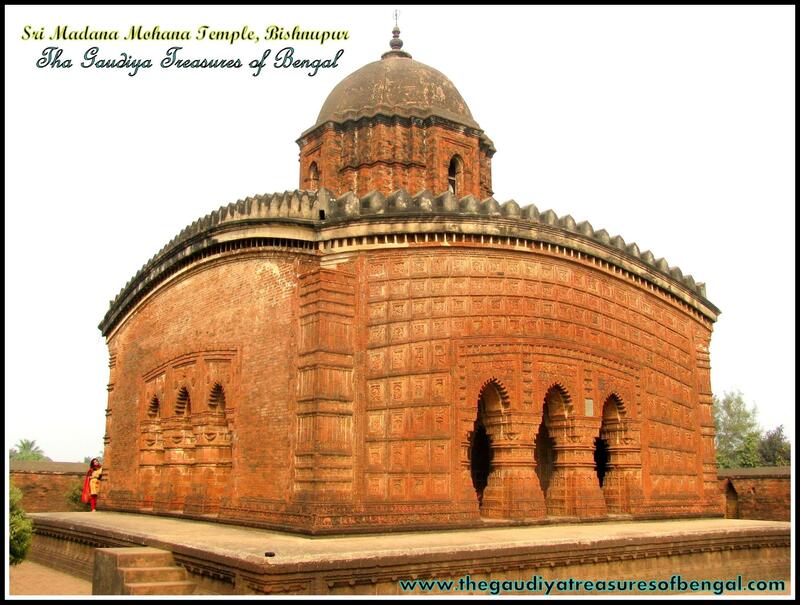 Such is the fortune of Bishnupur that Sri MadanaMohana Dev Himself fought to preserve its dignity. 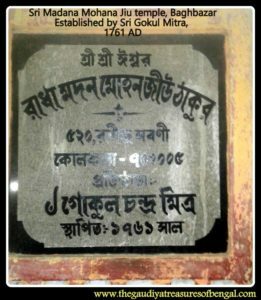 Once the kingdom of Mallabhum endured a severe financial crisis .Knowing that the king was in desperate need of money, Sri Madana Mohana appeared to him in a dream and asked him to keep Him as mortgage in the house of Sri Gokul Mitra (a wealthy businessman), a resident of Bagbazar (in North Kolkata). Accordingly, in the month of Baisakh (April/May), the king mortgaged Sri Madanamohana to Sri Gokul Mitra and as a return, received a sum of Three lakh rupees.This is how Sri Madana Mohana arrived at Kolkata. 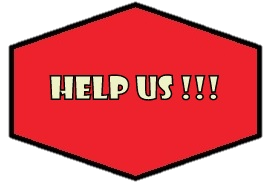 There are innumerable pastimes that He has performed over here and we shall try our best to relate a few below. Gokul Mitra had a servant named Madan. Once while Madan was away, Sri Madana Mohana came in disguise of this servant, and handed over the tobacco pipe to Gokul Mitra,who was searching for it. On consuming the tobacco, Gokul Mitra understood that the consumed tobacco was not of kolkata, but instead belonged to Bishnupur. Being amazed, he inquired from his servant, from where had he obtained it.But his servant was nowhere to be found. Then, while serving Sri Madana Mohana, the Brahman priest observed marks of tobacco in His hands, which did not go away in spite of his repeated efforts. Being discouraged, the priest informed Gokul what he had observed, who then understood that it was none but Sri Madana Mohana who had Himself taken the pains to arrange for his tobacco. An ecstatic Gokul Mitra then proclaimed, that anyone in his family, who would henceforward consume tobacco would incur the equivalent sins of killing a woman or a brahmana. Meanwhile, the residents of Bishnupur lived in an intense separation from their beloved Lord.The whole kingdom mourned in His absence. The king, the queen, the priests, the citizens all cried piteously. The bricks fell off from the temples. Even the animals as if gave up their food and lived in utter grief. Then one day, the queen got an idea.She informed the king of her desire to sell off her beautiful golden necklace and repay in full the debt and interest that was incurred by the king.In this way she arranged to pay off the mortgage and bring Sri Madana Mohana back to Bishnupur.Arranging the money, the king arrived at Bagbazar to reclaim His beloved Madana Mohana jiu.However Gokul Mitra, who had become exceedingly attached to the deity ,resorted to trickery in order to deny the king his rightful. He then lied, that the king had not mortgaged but actually had sold Sri Madana Mohana jiu to him.In order to support his logic, Gokul Mitra produced false agreement papers, seeing which the king broke down in grief.Being dejected and crying profusely the king left for Bishnupur. On his way back, Sri Madana Mohana jiu gave him His blissful darsana and revealed to him that Gokul Mitra had actually forged the papers.He ordered him to immediately file a case in the Alipore court and assured the king that He Himself would fight the case on his behalf. The king did as instructed. The pastimes that followed would melt the heart of even the greatest of atheists. Sri Madana Mohana jiu appeared as a lawyer named Madana in the Alipore court. He identified Himself as a lawyer from Bishnupur. Sri Madana Lawyer fought superbly and subsequently won the legal case for the king. 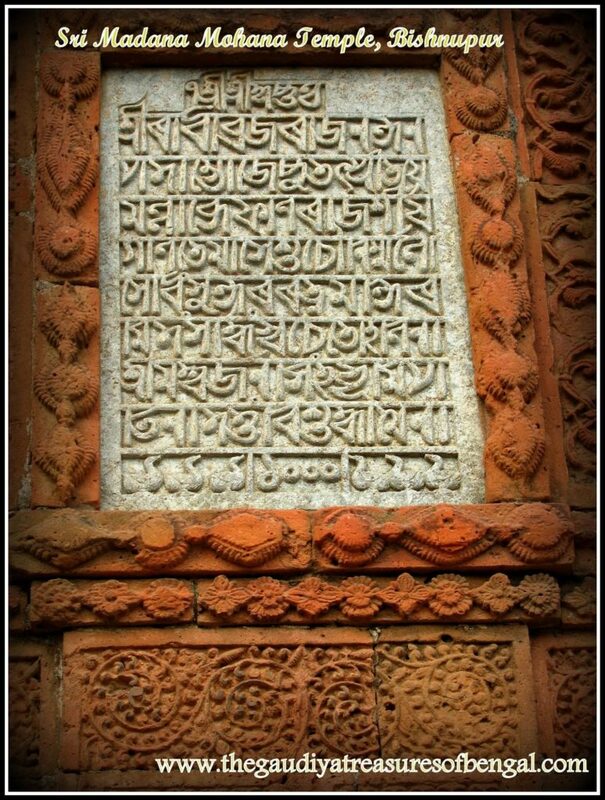 As a result,the king and the citizens of Bishnupur regained their right to get back their beloved Madana Mohana again. Gokul Mitra tried one last trick. Under his orders an exact replica of Sri Madana Mohana jiu was created from Kumartuli, and on losing the legal case, he tried to hand over this duplicate deity to the king. However again by Sri Madana Mohana’s timely intervention, the king was able to correctly recognize his eternal master. Before leaving Bagbazar, Sri Madana Mohana jiu promised the heartbroken Gokul Mitra that He would appear in his house every year during the Annakuta festival and he could serve him to his heart’s content at that time.The replica deity of Sri Madana Mohan jiu is served till this day at Bagbazar, at Gokul Mitra’s residence.The locality became subsequently renowned as ‘Madana Mohana tala’. Sri Madana Mohana jiu, thus returned once again to His eternal home at Bishnupur, where He is diligently served till this day. The residents of Bishnupur regained their lives being united with their eternal master. 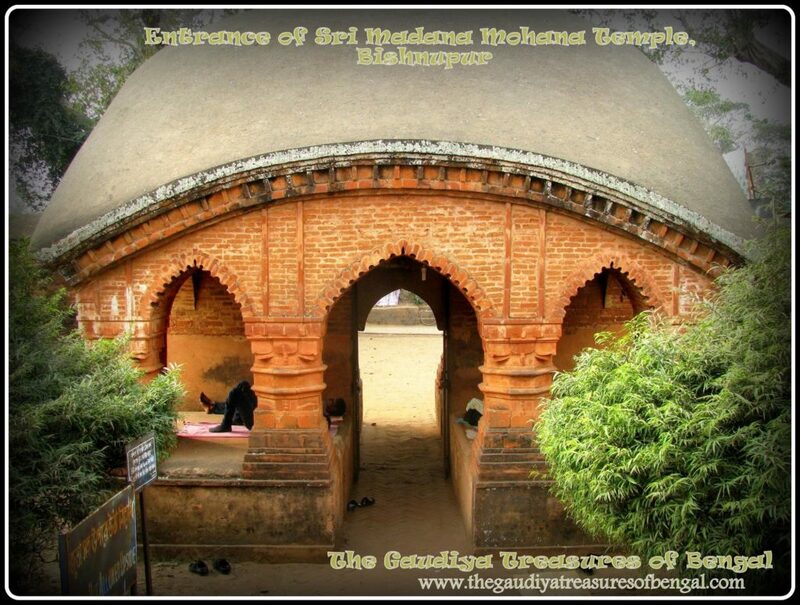 Visit the amazing temple of Sri Madana Mohana which helps us obtain a sneak peek into the great opulence and grandeur that once punctuated the Gaudiya tradition of erstwhile Bengal. 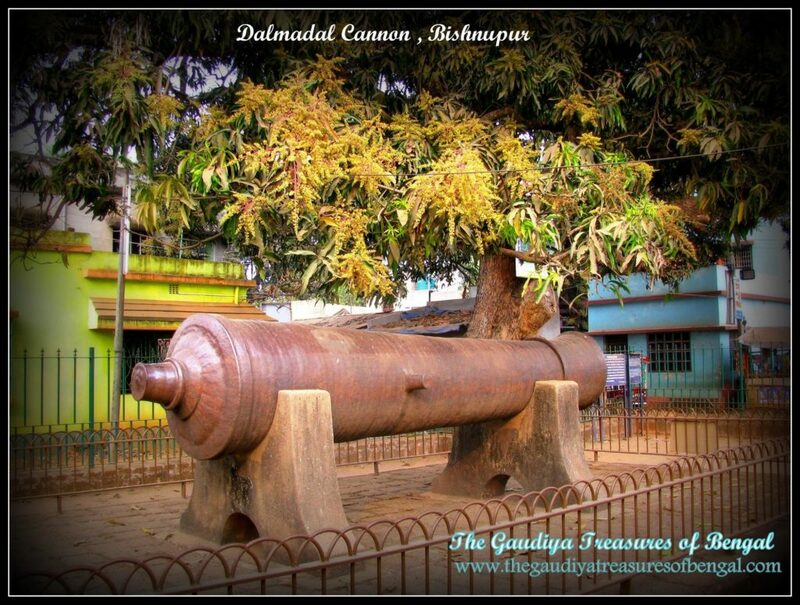 The Dalmadal cannon that Sri Madana Mohana used to rout the Marathas. Take darsana of the amazing Radha Madana Mohana deities being worshipped here. 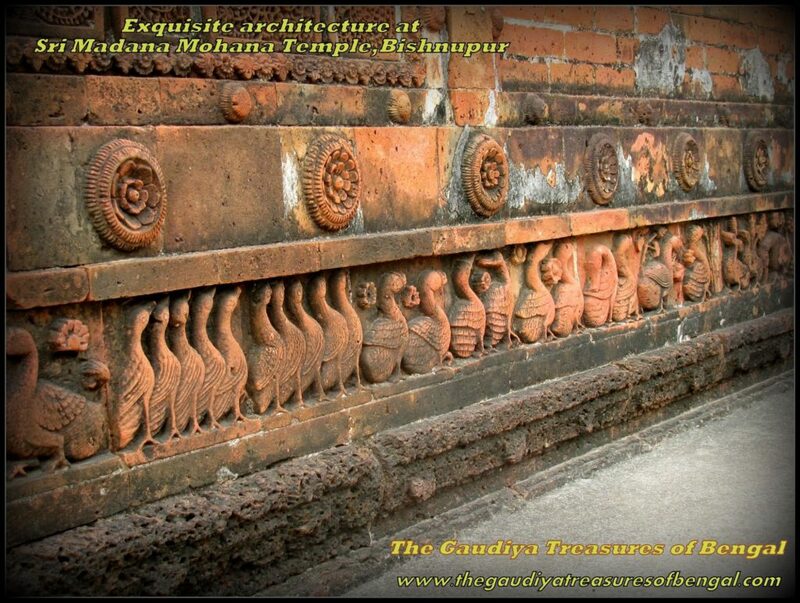 These however are not the same deities that were once worshipped by the Malla kings of Bishnupur. We worship the lotus feet of our spiritual master ,whose causeless mercy has empowered us ineligible fools ,to gain entrance and take up service in this exalted abode of Bishnupur. We seek shelter of this holy land, and pray that its glories remain forever imprinted in our heart.‘The Gaudiya Treasures of Bengal’ offers millions of obeisances and humbly prays to Sri Radha Madana Mohana jiu and the great Malla kings that we advance in our Krishna consciousness, develop attachment unto their lotus feet and are able to serve Sri Guru & Vaishnavas, by our honest and sincere efforts. We seek their blessings and compassion , in successfully rendering this humble service of reciting the pastimes and revealing the pastime places of the Supreme Lord and His beloved associates.We shall consider ourselves greatly fortunate and our existence meaningful if Lord Gaurahari and our dear spiritual master are kindly pleased with our endeavours. Bishnupur : The team from ‘The Gaudiya treasures of Bengal’ took a train (Rupasi Bangla) from kolkata to directly reach the Bishnupur station. The journey takes around 3 hours and on reaching there , we rested for the night at the West Bengal Tourism Lodge. The lodge is very beautifully decorated with fragrant trees. The rooms are very spacious having all the modern facilities.After completing our yatra, we boarded the same train , the next day evening, and left for kolkata. 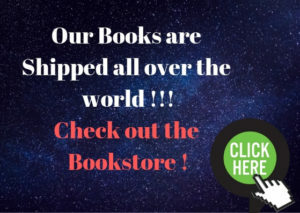 It is worthwhile ,acknowledging the assistance of Mr Biswajit Pramanik (+91 9474670110) , the local guide here in Bishnupur, who helped by taking us around the different places. The beauty of Bishnupur (also spelt as ‘Vishnupur’) enthralled us and the hospitality of the localites left an everlasting mark in our heart. 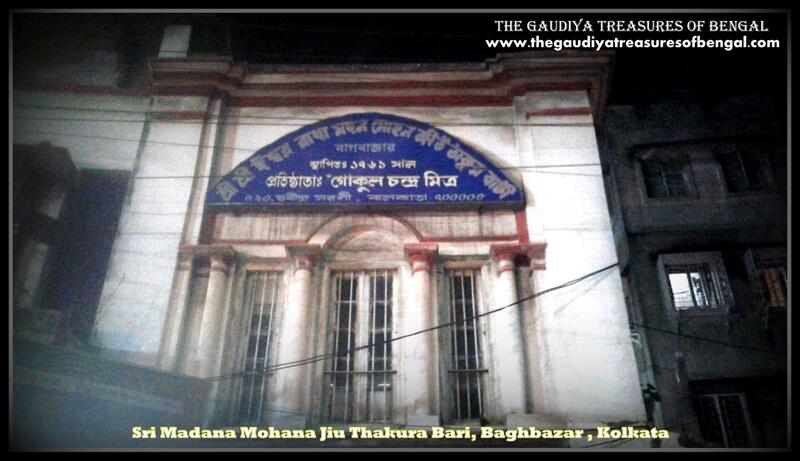 Bagbazar: Bagbazar is a ancient buzzing place in the middle of North kolkata. 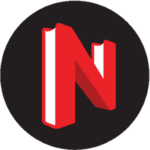 One can take a metro and get down at the Shyambazar metro station. From here, one can take a rickshaw/walk down to the MadanaMohana temple at Bagbazar. The place where this temple is situated is locally renowned as ‘MadanaMohana tala’. Accommodation – One can choose to avail the good facilities at the West Bengal Tourism Lodge here in Bishnupur.